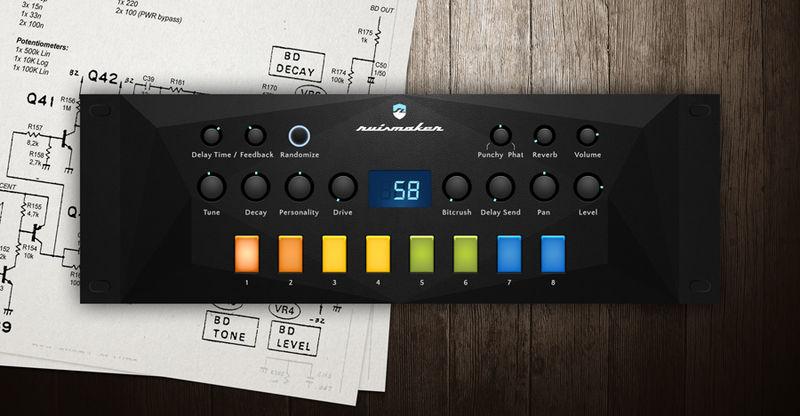 Software drum machines aren’t kingmakers the way hardware is. So Bram Bos of Eindhoven is not a household name the way, say, certain hardware makers are. But back in the 90s, Bram’s HammerHead Rhythm Station was one of the first pieces of software that showed what a drum machine in software could be. Flash forward to 2016. Bram is here with an iOS app that’s all drum synth – no samples. And while that puts it in a category with some other apps, it takes a slightly different approach. First, Bram advertises it as “the most hands-on” option for iOS. The UI is designed like hardware – and that means literally. Bram was already prototyping hardware with a Raspberry Pi as the guts. So what you get in the iOS design is something that is, on screen, laid out and sized in the same way as hardware would be. That makes it very much unlike a plug-in to use, because you don’t just use the touchscreen as a window to a bunch of software parameters. Third, and actually the reason to use it, Bram has taken a very particular approach to sound. There’s a separate synth model for each instrument type, modeling the analog circuitry you would expect out of a drum machine. So you get a combination of models that’s particular to Bram’s own vision of how such an instrument should sound – and that’s good. All of this comes together in a vision that’s really playable. Bram says he’s made it very efficient, so you can run lots of plug-in instances on your iPad, and still get low-latency audio. If you’re curious about that hardware project and where it went (plus where it’s going), that’s covered in an elaborate blog post that I think will be interesting to developers. But right now, this is another excellent choice for the iPad. And it’s just US$4.99.